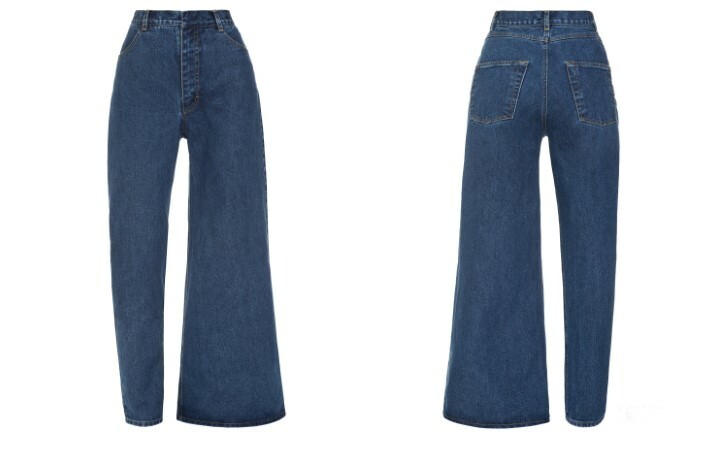 home Fashion Are Asymmetrical Jeans The Next Big Denim Trend? Is it time for the asymmetrical jeans to become the next big denim trend? Or those jeans can go home? The fashion brand and designer Ksenia Schnaider released her unique denim jeans a few years back. Schnaider oddly unique jeans recently earned attention from celebrities and fashionistas. Matter of fact, Supermodel Bella Hadid also approved one of Ksenia Schnaider's double jeans designed in dissimilar cuts and holes in it. The Kiev-based designer first introduced her designs at the Spring 2016 collection at Mercedes-Benz Kiev Fashion Days with cotton trousers. Schnaider followed her pattern and applied the same cut to jeans, developing a new concept that kicked off in Kiev, Ukraine. 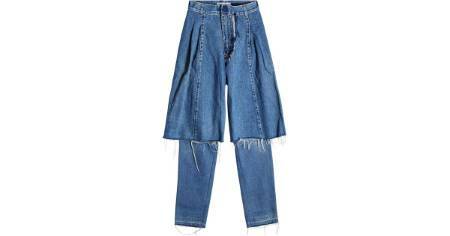 Her recent huge and loose fitting designed jeans with large pant at the top followed by fitting pant at the bottom is set to be making a new big denim trend. "My partner, Anton Schnaider, said that it was too crazy and no one needs jeans like this, so I abandoned this idea for a couple of seasons." Despite not receiving positive responses from her partner, Schnaider didn't stay back. "But a few months ago, I realized that at least one person needs such jeans—me." As a matter of fact, the designer reveals she received some witty comments from her team on wearing these jeans. Schnaider prefers to put on the asymmetrical jeans with heels, loafers and hoodies and "boring" sweaters.